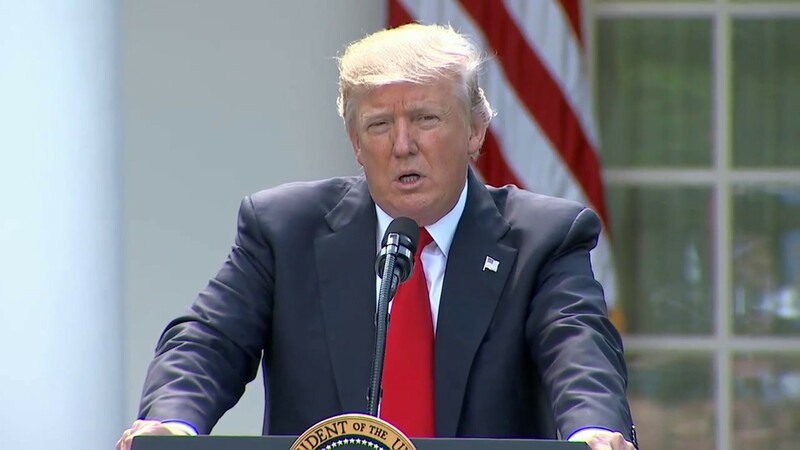 When President Donald Trump decided to withdraw from the Paris climate agreement in June, the U.S. joined Syria and Nicaragua as the only other countries to not agree to the global action plan. The reasons for the other two holdout countries were fair. Nicaragua's leaders felt the accord was not strong enough to fight climate change. Syria has been embroiled in a full-scale civil war for six years. But Tuesday, during the COP 23 climate talks in Bonn, Germany, the Syrian government also decided to sign the Paris climate agreement. Nicaragua officially joined the accord late last month. A Syrian delegate at the Bonn climate talks did not offer an explanation for the government's decision to ratify the pact, the New York Times reported. Syria, which produces only a small percentage of global emissions, has not yet submitted it targets for cutting greenhouse gases. The U.S., under President Trump, is now completely alone in this global consensus to limit temperature rise to well below 2°C to avoid dangerous climate change. Under the terms of the Paris agreement, the earliest the U.S. can officially exit the pact is the day after the 2020 election. "The bottom line is that the Paris accord is very unfair at the highest level to the United States," Trump said about the Paris withdrawal. The United States remains firm in its position, according to White House spokeswoman Kelly Love, who pointed reporters to a prior statement the administration issued after Nicaragua joined the pact, the Times reported. "As the president previously stated, the United States is withdrawing unless we can re-enter on terms the are more favorable for our country," the statement said. Trump's controversial decision was met with intense criticism around the world. "As if it wasn't already crystal clear, every single other country in the world is moving forward together to tackle the climate crisis, while Donald Trump has isolated the United States on the world stage in an embarrassing and dangerous position," Sierra Club executive director Michael Brune said in response to Syria's move. "Trump's desperate moves to help corporate polluters by refusing to acknowledge the reality of the climate crisis shows that he neither cares about leadership nor does he understand it. Thankfully, leaders in cities and states around the U.S. are taking action and committing to transitioning to 100 percent clean energy, proving that it's not America that's devoid of leadership, only the White House."